I wrote my first blog entry on June 1, 2007 and began it by announcing that I had no idea what I was doing. Six and a half years have passed and I still have no idea. I woke up the other day in a semi-first-thing-in-the-morning-panic and said, I have no idea what's going to happen. But then I realized what you already know. No one has any idea what's going to happen. Life can't be predicted. At best you have a sense of the rhythm, but even that can be disrupted by snowstorms and asteroids and phone calls. Fortunately for all humanity, not all disruptions are bad. My life had fallen into its own specific rhythm nine years ago, when I wrote Life As We Knew It. A little less than two years later, there it was. Not unexpectedly, there were additions. But then the additions kept on happening. Naturally, that inspired me to keep writing. And now, here's what that one book has led to. Along with the books, I've written this blog. I decided fairly early on that the blog would be about process. While I've always been happy to announce the good things (and there's been a lot of that), I also wrote about the failures and dead ends and general aggravation that's been an integral part of my career. I've never been big on suffering alone. But now my process involves retirement. I haven't written a book since completing The Shade Of The Moon a year and a half ago. That's the longest stretch for me since I began Just Morgan, well over 40 years ago. Shade is my 78th book to be published, and there's no round number I'm aiming for. 78 seems like as good a number to stop on as 80 or 90 or 100. So just as I've retired from writing books, I'm retiring from writing this blog. 726 posts seems like as good a number to stop on as 800 or 900 or 1000. I don't seem to be missing writing books. I don't know how I'll feel not writing this blog. As long as Blogspot allows me to stay here rent free, the blog itself will linger (and I'll try to remember to put updates over on the right side). Should something truly wonderful happen (which I don't anticipate), I'll post on Twitter that there's a new blog entry. I've never been big on celebrating alone. I wish I could explain how much you have meant to me. Over the course of these six and a half years, I've met maybe a dozen of you in person, and each time it's been a thrill for me. I am so grateful to you, those who have left comments, those who have emailed, those who I've never heard from but I sense your presence anyway. You've been a significant part of my life, and I appreciate you more than you can possibly know. And thank you so much. You labored long and well on this. But you are still stuck with me! I found your blog after reading your books. I've really enjoyed hearing all your updates. You'll be missed. I'll really miss you and your blog! I'll miss your posts! Wishing you and Scooter all the best in retirement! Thank you for the books you've written. Thank you for the blog posts and photos of Scooter. Thanks for it all. I'll miss reading your blog, but I'll leave the link on my sidebar so I'll know if you ever come back to post "just one more thing." That way, it feels like you aren't really gone fomr the blogosphere. Have a great retirement. I highly recommend it to everyone. We will surely miss you, in books and in the blog. But I know what you mean about retirement. I am hoping to do the same in a few years. My middle and high school students look at me like I have three heads when I mention that you may not be writing any more books. Leaving something you do so well does not compute for them! All the best from Midcoast Maine! That'll make your last book all the more bitter sweet. 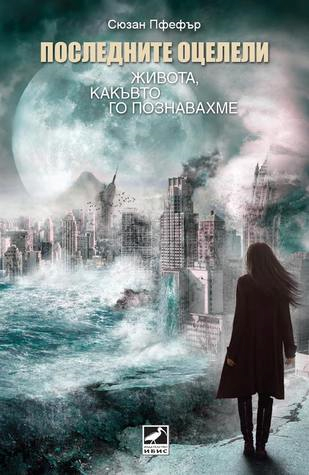 not only the last Moon Book but the last book you'll write. Enjoy your retirement, and keep us fans posted every now and then about what you're doing. I know it'll be great. I have truly enjoyed your books and posts. I loved hearing the successes, disappointments, and adventures! Thanks for sharing it all with your fans! I'll miss the updates but wish you well in retirement! Wishing you a very happy retirement! 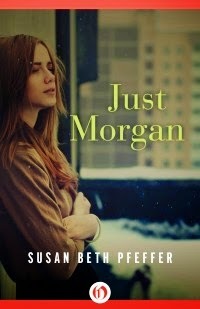 I read and re-read Just Morgan as a teenager, and was thrilled when Life As You Knew It turned up on school reading lists. Wishing you all the best from one of your many librarian fans. We'll miss you, but if anyone's earned it, you have. Enjoy retirement, and let us know if anything important happens. Thank you so much for the books and the fascinating perspective of your blog. Enjoy your retirement. If you find yourself needing to write, please do. Even if it is only for yourself. Thank you so much for this blog, it's been entertaining from tip to tail and I've really enjoyed interacting with it. I've also enjoyed the books I've been introduced to here. You are a pretty cool earthling, Susan Beth Pfeffer. Have a great retirement! Enjoy retirement. I will miss your blog. I've loved reading your blog for years now and it was so great to meet you in person. I totally understand that you need to do what you need to do with the blog and your career. As a librarian, I'll keep on introducing new readers to Miranda and the others. And I'll check back here now and then for a Scooter update. All the best to you! I'll really miss you blog. Perhaps once you settle into your retired ways you'll take up a new activity. You could then reactivate this blog as being about whatever you'll be doing. Your style of writing is so pleasant that I would gladly read about anything you take up now. 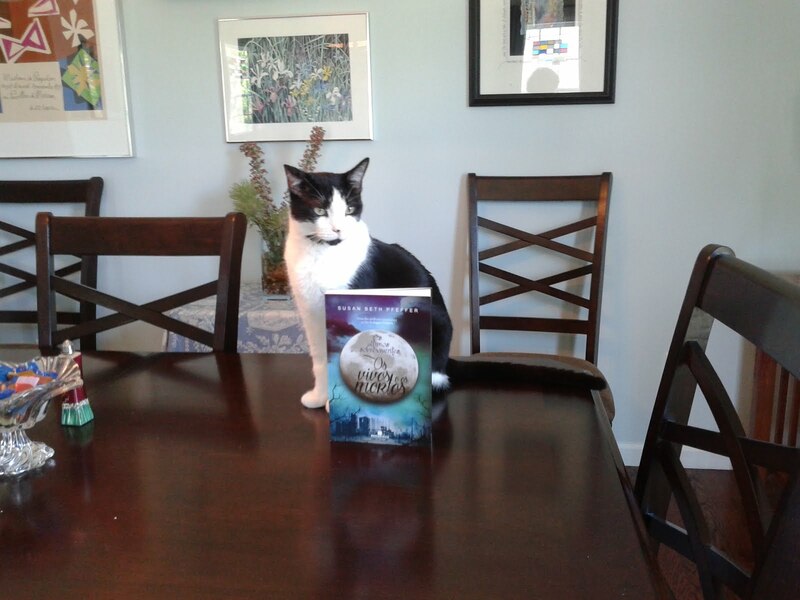 My daughter brought home your "Moon Series" and I am really hoping there will be a 5th book...totally addicted and I finished the 4 books in 4 nights. I can't wait to read your other books!!!! About once a week, I hop over here to see if you've decided to add a comment about how retirement is going. I have missed reading about you and Scooter and hope he's doing well. I know you'll enjoy the ice skating at the Winter Olympics. I hated some characters. I loved the first book. I got sucked in, wanted/needed to know what happened after I read the last word. Bought book two and realized now I was being introduced to new characters (and found that was ok once I knew that book three brought them together) So now here I am, waiting for my amazon order to arrive for book three, ready to hate/love the characters all over again!!! I think that if you can write so that we cry, laugh or even hate a character, then you have done a good job!! Please make another book of the "Life as we knew it" series!!! I love when it was being told from Miranda's point of the story. Can we please go back to that?? You can't leave me hanging like this! I'm 12 years old today and I'm writing you a letter in school and it's going to say the exact same thing: WRITE ANOTHER BOOK PLEASE! I'm begging you! WRITE A FIFTH BOOK FOR THE LIFE AS WE KNEW IT SERIES! I'm writing a letter to you in school and it will say the exact same thing! Just finished the shade of the moon and I died a bit inside. I felt that what has happened to Jon, shouldn't have to happen to anyone. Im sad to know that there won't be a book 5 to the series and it is by far my favorite series I have ever written. I convinced my classmates and 4 of my college professors to read this series and they all fell in love with it. Even if you don't write a finale to the book, it satisfied me. To know that there is always hope as long as you never stop believing. Im so happy that you wrote the survivor series. It gave me the motivation to start reading again and because of you Im writing my own novel! Thank you Susan Beth Pfeffer, you really changed my life for the better. Hello Ms. Pfeffer, I just found your blog-YAY! Only to read you've retired-BOO! At any rate, I am thrilled to be writing you for a second time. My first time writing you involed notebook paper and my poor handwriting. My fifth grade teacher, Ms. Ovella McKinney, from J. O Schultz Elem. in Ivring, TX., was such an encourager to me as I crafted my letter to you. I had just completed Kid Power and was so excited to write you. The book encouraged me to sell Holiday cards...I only wish neighbors would have purchased just one. I did sell lemonade that Spring :) So, all that to say, I enjoy using Kid Power with my students in reading groups. They are thrilled when I relate my story. Happy Retirement...you have worked hard. Enjoy redirection. Its been almost a year and I still check this place. Thanks for all the nights I spent alone in my bedroom terrified for a moon-asteroid global disaster. I'm a teacher at a high school on the Outer Banks of NC. Our English department is doing a "Book Whisperers" program this year with all of the freshman English classes in which they must read 20 books, all of their own choosing. On Monday of this week, I told my three freshman classes about "Life As We Knew It" and mentioned that the part that's always stuck in my mind is when Miranda and her family are watching the first news reports and hear that New York City is submerged and that the barrier islands off the coast of NC - our home - have been washed away. My classes got into actual arguments over who could check the book out first. A teacher in another department said that two different kids told her about the book this week, and I've got a dozen or more kids who keep asking, "How soon do you think the media center's copy will be checked back in?" I'm holding a couple of kids over with the second two books in the series (I'm THRILLED that there's a fourth now!) and I'm on my way from your blog to Amazon to order more copies. It's the most sought-after book in our school right now! I hope you still read your blog comments despite retiring - authors don't hear often enough how much their books continue to touch generations of people! This will make a great movie! Happy New Year! Hope you have a great 2015! Thank you, thank you, for your dedication to telling and sharing stories. I bought Life as we know it for my daughter originally but I've always read what my kids read before i let them read it. Honestly my daughter wasn't real interested in the book but i loved it and couldn't wait to read more. I love a good story line. I have read and reread these 4 books more than any book on my shelves, and i have a lot of books. My kids look at me when i have this book in my hand and i usually hear "jeez mom, your reading that AGAIN?". As bummed as i am that there wont be more books to this series, i wanted to say thank you for allowing us on your journey. Fairwell! It is a great voice over. I read all your books in this series and i would love to read more. I got addicted. These books made me love reading. I obsessed over reading your series like a drug. To this day, I still reread them. Sadly, I have not fallen into that deep love for a book after you stopped writing new books for the series. Thank you for your perfect books. I really Love your books, keep writing them. My kids and I are hoping that somewhere in your mind there is another story percolating! There were so many interesting philosophical questions raised in this series and we had some great discussions at the dinner table. I don't know but there is something about these books, as Kascy DuBoise said, I can't stop re reading the series, this is my 5th time reading, and because I have to commute for work I even check the audio books out from the library and I listen in my car. 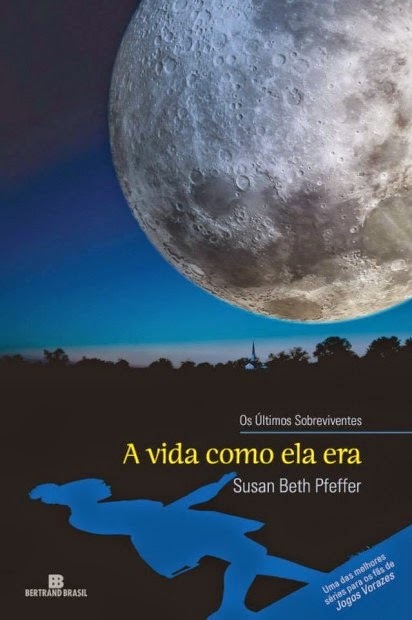 I hope Susan is willing to write about what happen after the Shade of the moon, and also in between, what happen to Mirandas's dad, what happen in those years before they got to the safe town. 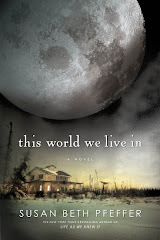 I check out the first book because was a suggestion from the library for my sixth grade son, but he was scared but I got into it, and it happen almost 3 years ago and I keep reading an listening the books. I will love to read the 3.5 book and the 5 book. Please Susan and thank you for your books. It has been 2 years since I left you a message on this blog. Its been 2 more years of picking up your books and re-reading them (although i could probably write them down word for word by now). I often check the internet to see if you have surprised us all by writing a fifth book, never to find one of course. But never do I stop to think of you, if your are doing well and enjoying your well deserved retirement. In any event I hope this finds you in good health. Have a beautiful day! Bye! I will miss you so much! you were an amazing writer. Hopefully you will countinue the series because I have some questions.